Guests who attended a recent event Conservation Close-Up event at Beauport, the Sleeper-McCann House, in Gloucester, Massachusetts, were the first to learn the results of an exciting conservation project. Historic New England staff analyzed a collection of ceramic objects mended with visible gold repairs. Five vessels of possible Japanese and Korean origin in the Queen Anne cabinet in Beauport’s Cogswell Hall appeared to be repaired in a traditional Japanese manner called kintsugi. 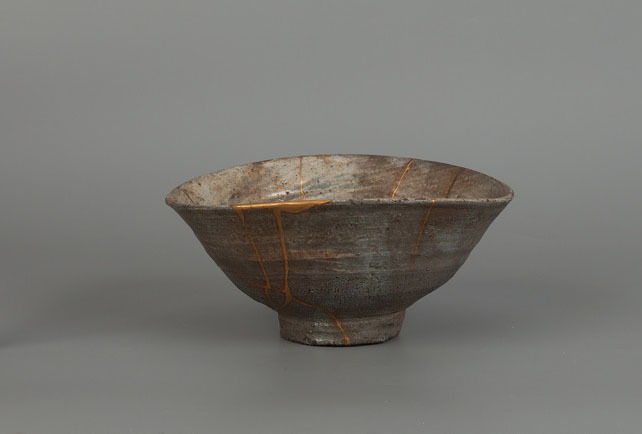 Kintsugi is the art of mending ceramics with Asian lacquer (urushi) and a dusting of precious metals. The resulting repairs are intentionally visible: lines and fills of gold or silver that catch the eye. The philosophy behind the technique is to take something broken and give it a new, beautiful life. The repaired object has thus transcended its broken state and been transformed. History of use and life are visible and should be appreciated. Beyoncé Knowles recently brought this art form to everyone’s attention by including a kintsugi-repaired bowl in her video for Lemonade. 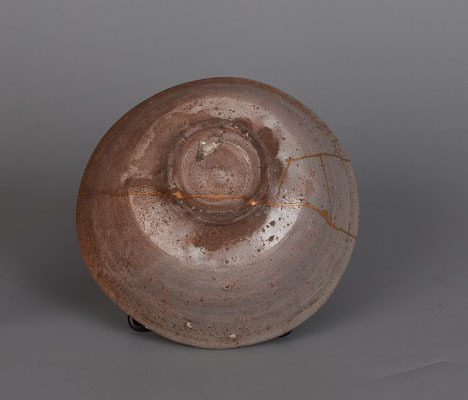 Colleen O’Shea, Historic New England’s Mellon conservation fellow, wanted to confirm that the repairs seen on the Beauport ceramics were indeed kintsugi. If this technique is used, it imparts additional value to the object, both in terms of aesthetics and history. It is possible to imitate kintsugi with other materials, however, using bronze powders or “gold” paint (paint with mica powders). A true kintsugi repair requires extensive training in the art of lacquer; the process of making the repair is exacting, time-consuming, and difficult. The five ceramics underwent technical analysis to better understand their composition. First they were examined under ultraviolet radiation in order to detect differences in materials. 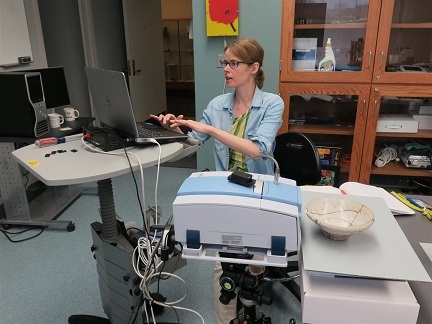 Following this, conservation scientists Dr. Rebecca Ploeger and Aaron Shugar of the Art Conservation Department at SUNY Buffalo State analyzed the objects with X-ray fluorescence spectroscopy (XRF) and Fourier-transform infrared spectroscopy (FTIR). 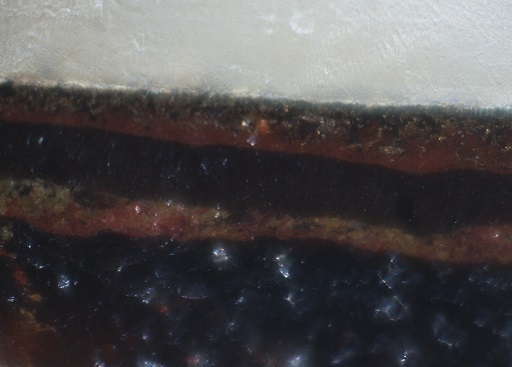 Finally, samples from break areas on two of the objects were removed and then mounted into cross sections in order to see if any mending layers are present that would help to identify these as Asian lacquer repairs. The tests confirmed that these objects are in fact true kintsugi repairs. The metal used in all cases is gold, with slightly different purities on the different objects. Evidence of Asian lacquer was found in all of the areas analyzed with FTIR. The cross sections show a layered structure: at least four layers of lacquer, followed by gold. Come take a closer look at the kintsugi-repaired objects on your next visit to Beauport, and marvel at the skill needed to make such beautiful repairs. Help Historic New England continue the study of objects such as these. Please consider a donation to the Collections and Conservation Fund.